Ipswich, MA Christopher DiGuiseppe, director of leasing for Realty Partners, NE represented the Eva’s Farm Organic Butcher Shop and landlord at 195 High St., Ipswich, and 550 Turnpike St./Rte. 144 North Andover totaling 2,400 s/f, where he co-brokered with Mary Powers of The Dartmouth Company. The mission of Eva’s Farm is to connect families to the possibility of achieving a healthy diet with their local products. The butcher shop has an old-fashioned feel that carries meats from animals raised on small, local, sustainable farms. Eva’s only offers premium products from local farmers who have raised their animals on either a primarily grass-based diet or in an organic manner as well as other dairy products and locally-grown vegetables. 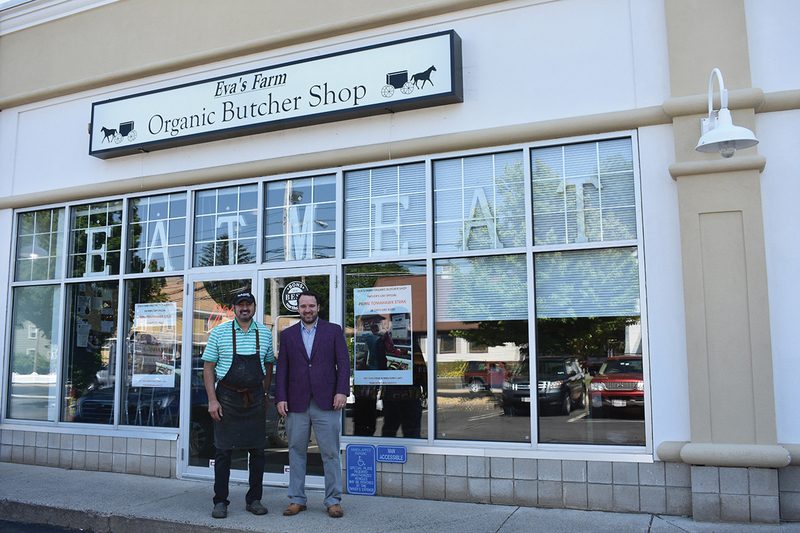 Realty Partners, NE is the exclusive leasing agent for Eva’s Farm Organic Butcher Shop and responsible for securing locations throughout the Northshore of Mass. In another transaction, DiGuiseppe represented the Mattress 1st and landlord on 5,800 s/f, 275 Amherst St. in Nashua and 4,700 s/f at 239 Loudon Rd. in Concord, N.H.
Realty Partners, NE is the exclusive leasing agent for Mattress 1st and responsible for securing locations throughout New Hampshire. “Mattress 1st is a quality retailer managed by an experienced franchisee who understands the market and is committed to providing a service to the community,” said DiGuiseppe.